I see great possibilities with this little recipe. Not only is this the perfect way to use those bits and pieces of veggies, meat and cheese in your fridge, but each mini-omelet can be made to order. Another reason I like this recipe is that it can easily be doubled for a crowd and there is no standing over an omelet pan while your company is waiting for you!! Picky-picky husband loves these little omelets with just diced ham and cheese in them, but I like them with chopped mushrooms,broccoli and bacon. Either way, two mini-omelets make a very filling breakfast. Preheat oven to 375 and spray cupcake pan with vegetable spray. Whisk the eggs, milk or cream, oil, baking powder and salt and pepper together until smooth. Divide meat and vegetables evenly between the 12 greased cupcake wells; top with a little cheese. Pour enough egg mixture in each well to come to the top. Bake in preheated 375 oven for 15-20 minutes (my oven took 22 minutes). During this time, they will REALLY dome up like a real cupcake, but they will flatten back down as they cool. Remove from oven and garnish with a pinch of cheese (I topped them with cheddar). Let the mini-omelets rest in the pan for 5 minutes before you take them out (they will easily lift out after 5 minutes). NOTE: Use your imagination regarding what veggies you want to include in this recipe, just remember they have to be pre-cooked. NOTE: These little muffins stay warm for quite a while, and they reheat VERY well in the microwave. They would be a fantastic addition to any brunch table because they are tasty at room temperature as well !! NOTE: When I make these for just the two of us, I cut the recipe in half, which gives us 2 mini-omelets each and a couple to snack on later. What an EASY idea. I love the fact I can make vegetarian and sausage for all of my family! Thanks for sharing a clever method. This would be great for the breakfast buffet. Oh Yum! These look and sound delicious. I've been making egg white omelets for breakfast lately - with bacon bits & cheese. So, I'm definitely going to give these a try. These mini omelets look delicious Coleen, and such a great way to use up leftover bits. So easy made to each one's choice. It's too bad I already had breakfast because I would have rather had these. They look so yummy. Thanks. Really great recipe, Coleen. I wonder if they would freeze well. I love this recipe. I can't wait to try it. I am hosting a brunch in two weeks this would be perfect! This is such a cute and delicious idea! I love it for the holidays when I have house guests. . . but they're so tempting I'll have to make them before then. I wonder how they would work if I omitted the oil and used egg whites? I could spray muffin tins?? 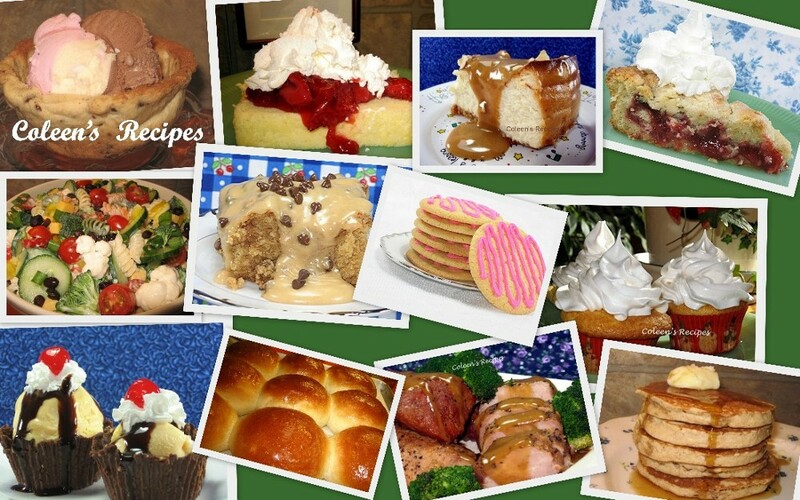 I love making these, I initially got the idea while doing the South Beach diet. I never thought to use milk though I do add milk while making scrambled eggs for my kids. Next time I make a batch I might try adding some skim milk. I also tend to use egg beaters instead of real eggs. Loving all your recipes! Thanks a lot for such a nice dish. I will try this at my home. 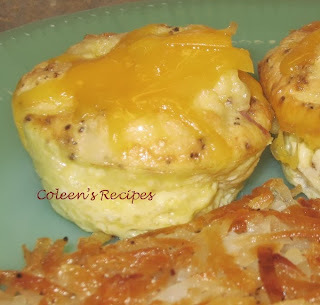 These mini omelets look delicious Coleen, and such a great way to use up leftover bits. So easy made to each one's choice. this is fantastic and makes breakfast so much easier! my only issue is cleaning out the muffin pan.... anyone have any tricks so that it does not stick so badly? I used spray too! To liteofdawn: What did you spray them with? I used regular vegetable spray (Pam) and they popped cleanly out. See the photo at top of this post...they didn't stick at all!! Can you use muffin paper in the pan? To Liteofdawn: Make sure you let the omelets sit IN THE PAN for five minutes before removing them and they will not stick. I am going to do half the recipe tomorrow morning. Thank you, this sounds yummy.